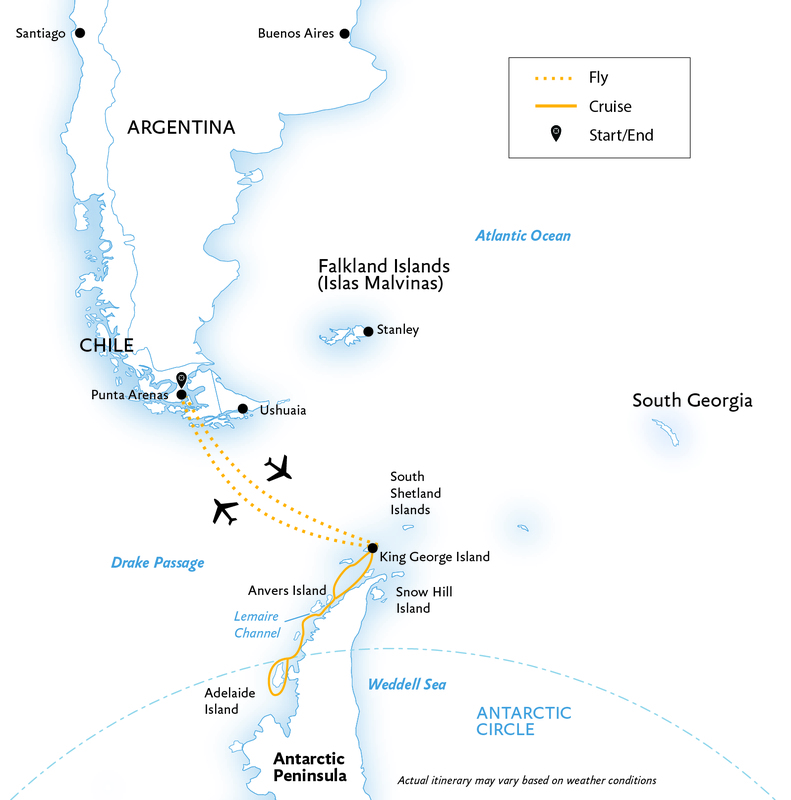 A short, comfortable flight from Punta Arenas, Chile, to King George Island in Antarctica has you with boots on the ground, overtaken by the sheer magnitude of the Seventh Continent. 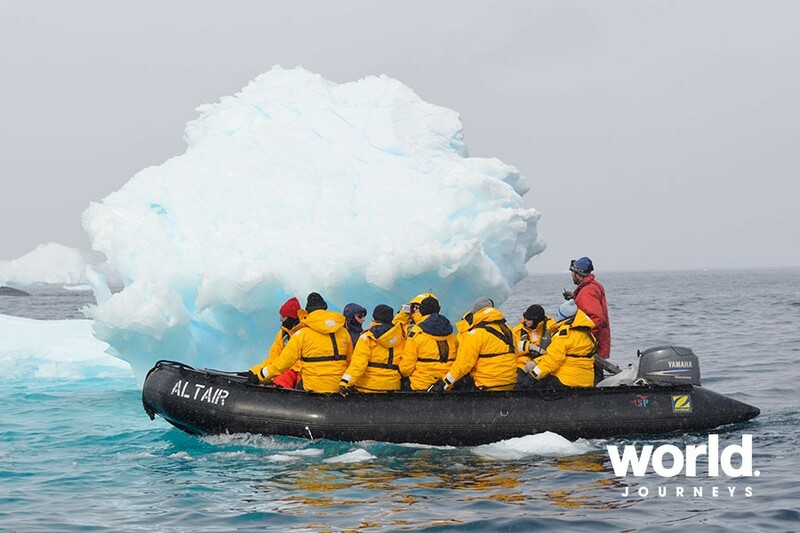 Fully immersed in the Antarctic environment, you'll experience a roller coaster of emotions, from excitement to awe, from exquisite solitude to incredible gratitude for the wonder of it all. You may go in search of whales and find yourself bearing witness to a glacier calving. 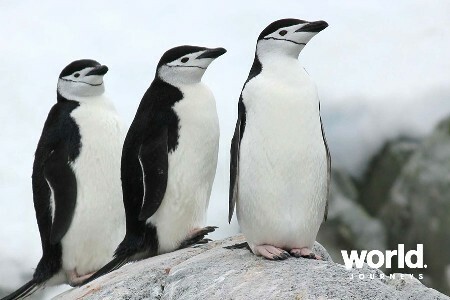 Or, you might plan to climb one more peak for a better vantage point and find yourself in a rookery of curious penguins. 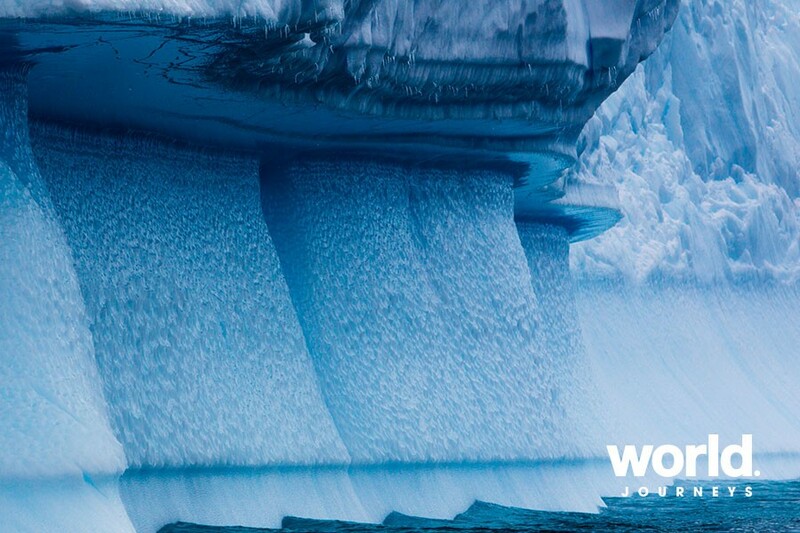 Antarctica will leave you in awe, but it won't leave you unchanged. A refreshed, contemporary new look and feel throughout the ship. • The addition of six new twin cabins and three new suites. • All existing cabins will be furnished with all new soft furnishings and brand new bathrooms. • Main common areas such as the Lounge and Dining Room will be remodeled as well as the Bar. • Major technical enhancements - include two new Rolls Royce engines. Day 2: Embarkation Day Your charter flight from Punta Arenas to Antarctica will have you crossing the legendary Drake Passage in only a few hours. Far below, the ship is approaching King George Island for your arrival. Your first glimpse of dramatic Antarctica landscapes will be from a very unique perspective, as your plane descends for landing in the South Shetlands. After landing, stretch your legs and spend some time exploring the island before being transferred by Zodiac to your ship. 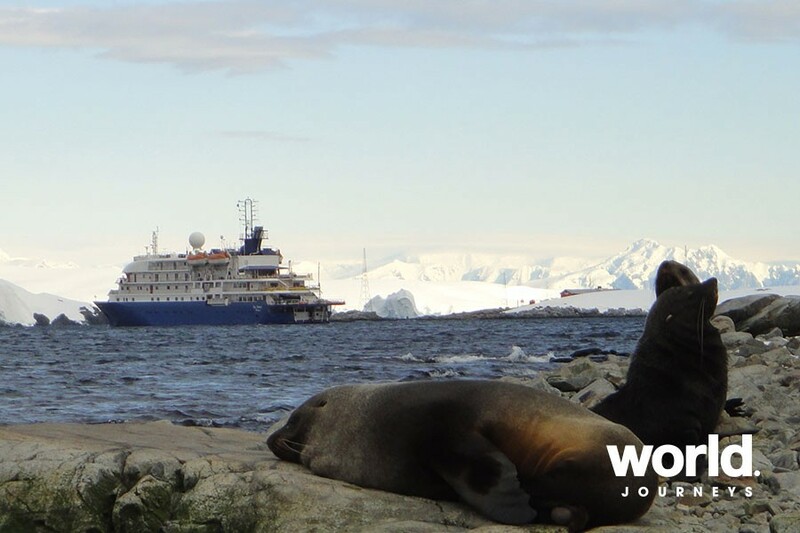 Meet the rest of your shipmates and set sail for the Antarctic Peninsula! Days 3 & 4: Antarctic Peninsula and South Shetland Islands There are few places in the world as evocative as Antarctica. As your ship approaches the white continent, you may be overcome by feelings of excitement and awe. Much of Antarctica is indescribable and can only be fully appreciated through your own eyes. Your first sightings will be from the ship itself. As the Captain and Expedition Team keep their eyes out for whales and seabirds, you'll be alerted to any new sightings. Our team of expert lecturers will also provide in-depth explanations of the geology, history and wildlife of the region. Even more exciting are your daily excursions to land. Your first Zodiac landing is something you'll never forget! Walking up to a beach that is dotted with penguins and seals is the most intimate way to experience the unique wildlife of Antarctica. 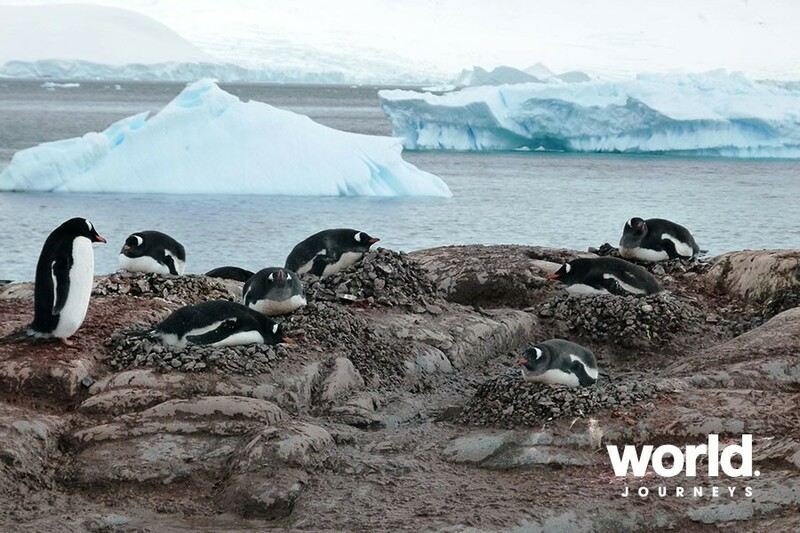 Each landing is different and is dependent on weather, but every day presents new sightings and photo opportunities and it won't be long before you can tell the difference between an Adélie, gentoo or chinstrap penguin. Days 5 & 6: The Antarctic Circle Crossing the Antarctic Circle is an impressive achievement, as most expeditions to the Peninsula do not reach 66 degrees 33 S. You and your shipmates will celebrate in style with a well-earned glass of champagne! With a toast to the first explorers who ventured this far south, you can take pride in knowing you have made it to a part of the world still visited by very few people. This is raw Antarctica, home to the midnight sun, Weddell seals and some of the most magical, odd ice formations seen anywhere in Antarctica. Days 7 & 8: Northbound Along the Peninsula If you haven't had your fill of Antarctic wildlife and icebergs by now, you'll surely be satisfied by the time we return to the Drake Passage. 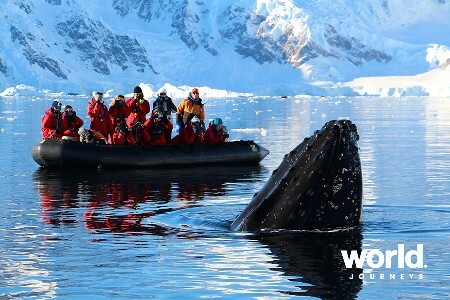 You will continue to journey onto land by Zodiac twice daily as you travel north along the western Antarctic Peninsula. 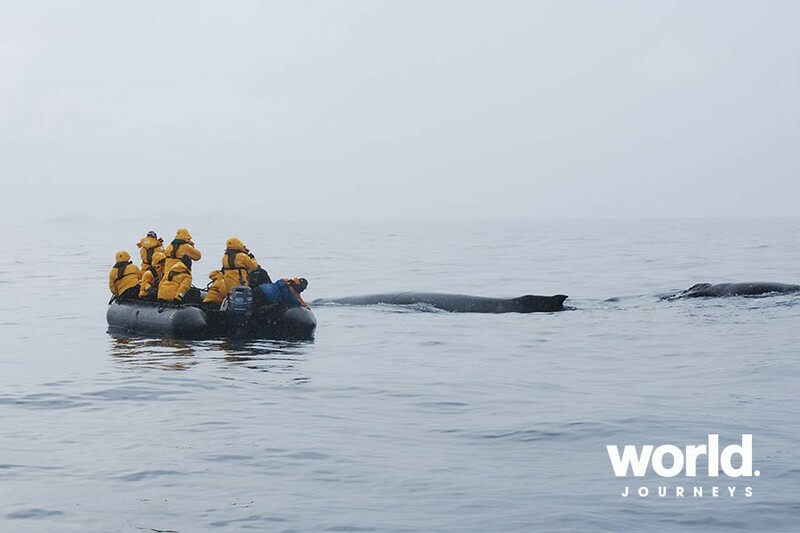 Your Expedition Team will always be on the lookout for any species of penguins, seals and whales that may have eluded you on the journey south. Day 9: Disembarkation and Fly to Punta Arenas After your week of exploration, you'll say goodbye to the Expedition Team and disembark at King George Island. Your three-hour flight across the Drake Passage to Punta Arenas, Chile, brings your adventure to an end. After we transfer you from the airport to the hotel, you can enjoy a final dinner in the city to reminisce about all the sights and sounds of Antarctica. Day 10: Depart for Home Say goodbye to your fellow explorers and depart for home. Day 1: Punta Arenas, Chile Your adventure begins in Punta Arenas, Chile, the most populated city in Patagonia. If you arrive early, there are many museums, restaurants and shops to keep you busy for days. By early afternoon, a Quark Expeditions representative will meet all passengers at the official starting point hotel, where you'll enjoy a welcome dinner and be briefed about preparing for your embarkation day. 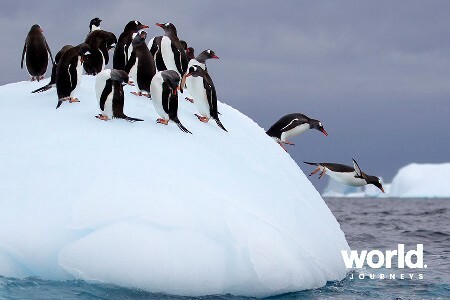 Days 3 to 5: Antarctic Peninsula and South Shetland Islands There are few places in the world as evocative as Antarctica. As your ship approaches the white continent, you may be overcome by feelings of excitement and awe. Much of Antarctica is indescribable and can only be fully appreciated through your own eyes. Your first sightings will be from the ship itself. As the Captain and Expedition Team keep their eyes out for whales and seabirds, you'll be alerted to any new sightings. Days 6 & 7: The Antarctic Circle Crossing the Antarctic Circle is an impressive achievement, as most expeditions to the Peninsula do not reach 66 degrees 33 S. You and your shipmates will celebrate in style with a well-earned glass of champagne! With a toast to the first explorers who ventured this far south, you can take pride in knowing you've made it to a part of the world still visited by very few people. This is raw Antarctica, home to the midnight sun, Weddell seals and some of the most magical, odd ice formations seen anywhere in Antarctica. Days 8 & 9: Northbound Along the Peninsula If you haven't had your fill of Antarctic wildlife and icebergs by now, you'll surely be satisfied by the time we return to the Drake Passage. 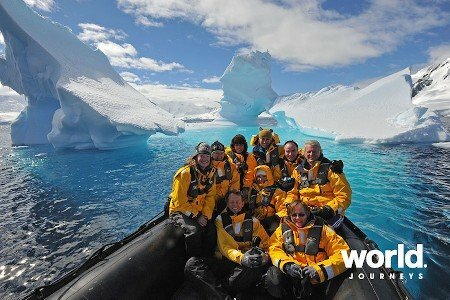 You will continue to journey onto land by Zodiac twice daily as you travel north along the western Antarctic Peninsula. 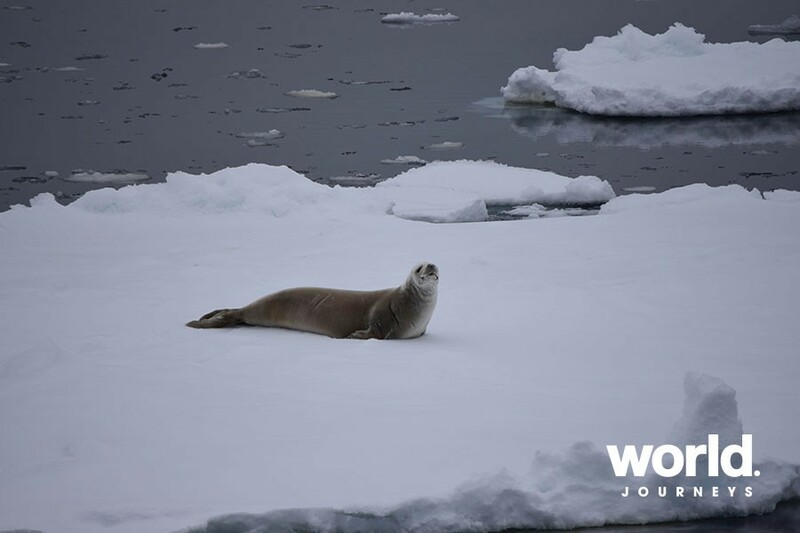 Your Expedition Team will always be on the lookout for any species of penguins, seals and whales that may have eluded you on the journey south. Day 10: Disembarkation and Fly to Punta Arenas After your week of exploration, you'll say goodbye to the Expedition Team and disembark at King George Island. Your three-hour flight across the Drake Passage to Punta Arenas, Chile, brings your adventure to an end. 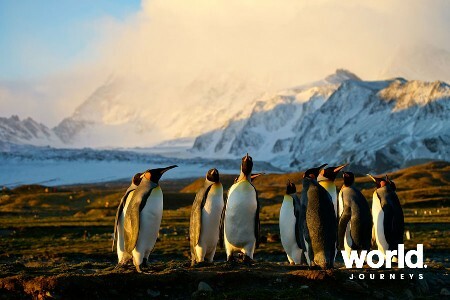 After we transfer you from the airport to the hotel, you can enjoy a final dinner in the city to reminisce about all the sights and sounds of Antarctica. Day 11: Depart for Home Say goodbye to your fellow explorers and depart for home. Important reminder: Embracing the unexpected is part of the legacy, and excitement, of expedition travel. There are no guarantees that we can achieve everything we set out to accomplish. A measure of flexibility is something all of us must bring to a voyage. There are nearly 200 recognized sites in the Antarctic Peninsula and South Shetlands and the places mentioned above may be changed to others equally as interesting. Other categories of cabin available on request. Single cabin prices available on request. Please note that if you are a solo traveler taking advantage of the 'Request Share' program, not all cabins apply. Gratuities are voluntary and can be given at the end of your cruise. We recommend that you budget US$10 to US$15 per person per day, if you are pleased with the service on board.